Guarana is used to increase endurance and efficiency of the body during intense exercise. It improves energy metabolism, increases lipolysis, stimulating oxidation, which in combination with the metabolic acceleration contributes to fat destruction. 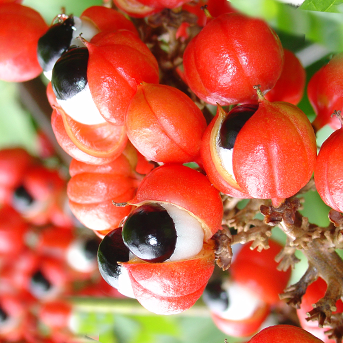 Guarana extract is used to stimulate cardiovascular activity. It also removes lactic acid from muscle tissues, which finds its application in sports medicine.